Born out of the grit, sweat, and drive of a cattle ranching empire, U.S. 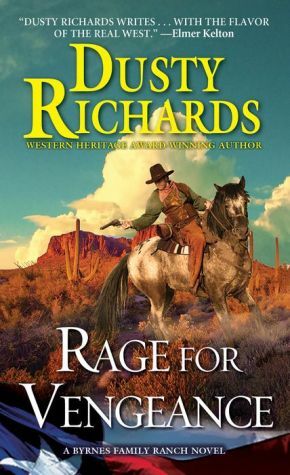 Marshal Chet Byrnes is turning the savage and lawless Arizona desert into a homeland. To some he's the hero that the West needs. To others, he's a moving target. Chet is spearheading a stage line from Gallup to the Colorado River. It'll be a boon to Navajo trading posts, and lay out the territory for new settlements. Unfortunately, it's not Gerald Hall's idea of progress -- killing Chet is. The mysterious Texas gambler has hired three kill-crazy assassins -- and counting -- to bury Chet under a storm of bullets. To turn the tables on a game of revenge, Chet has to match the deranged Texan play by play, body by body, and bullet for bullet. Come hell or high water, that stage line is going through -- even if it's forged in blood.